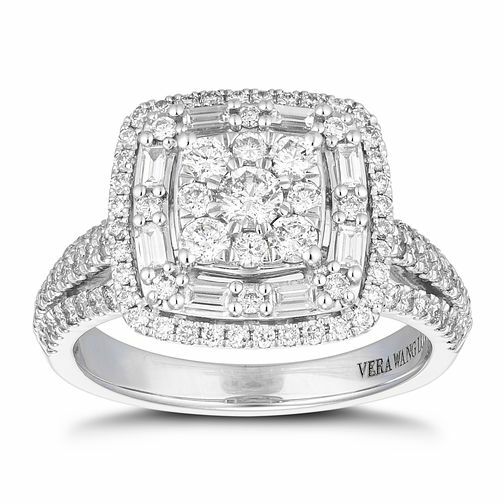 A beautiful ring as part of Vera Wang's Love Collection, made from 18ct white gold featuring a classic design with a twist. A sensational diamond encrusted centerpiece features a selection of round and baguette cut stones, upon an equally sparkling band. An elegant and enchanting ring to symbolise eternal love.